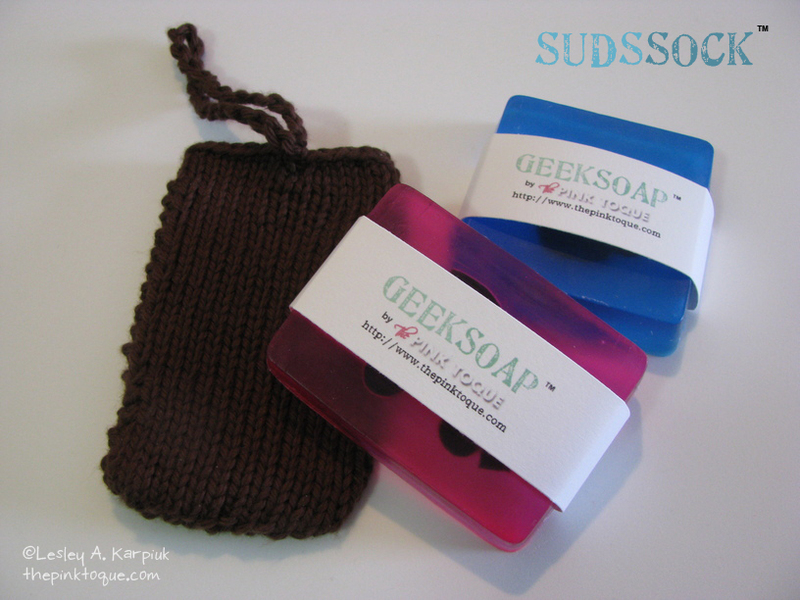 The perfectÂ accompanimentÂ to rectangular GEEKSOAPâ„¢ or FANSOAPâ„¢ bars – the Suds Sock! 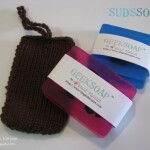 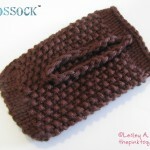 Knit design by me, and created to perfectly fit both the smaller and larger rectangular bars of my handmade soap line. 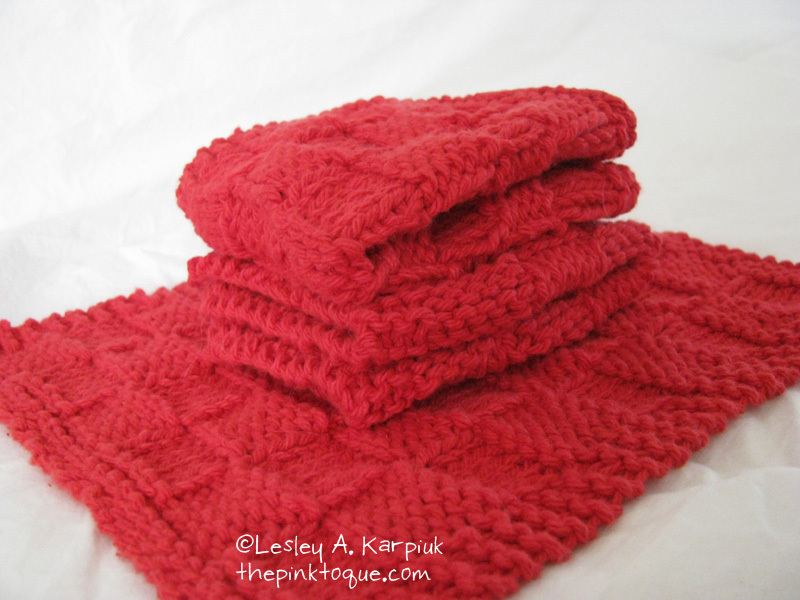 Knit from soft cotton and when used with soap inside, it’s like having your soap and washcloth all in one! 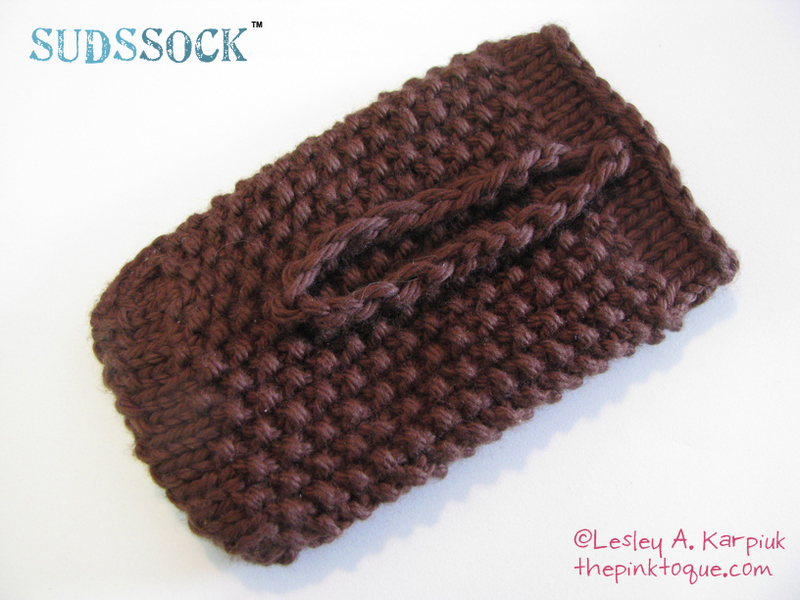 Features a smooth side and a nubby, scrubby side for deep cleaning and and exfoliating action. 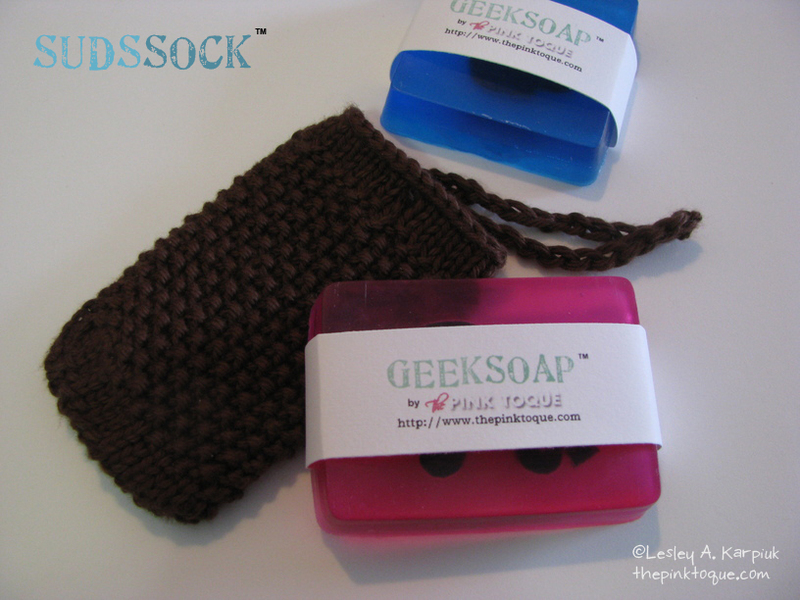 Handle on the back side slips through the opening on the front side to keep your soap safely inside while you wash, and allows your Suds Sock to hang effortlessly in the shower. 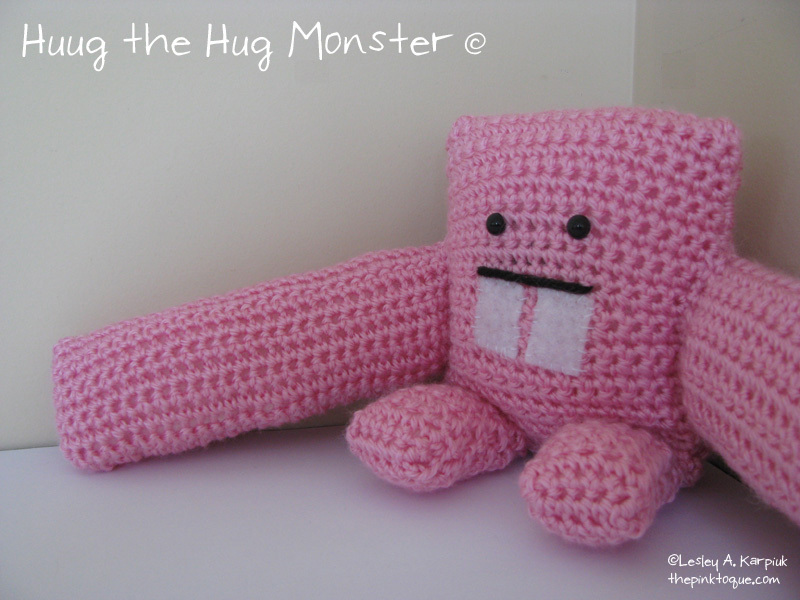 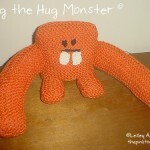 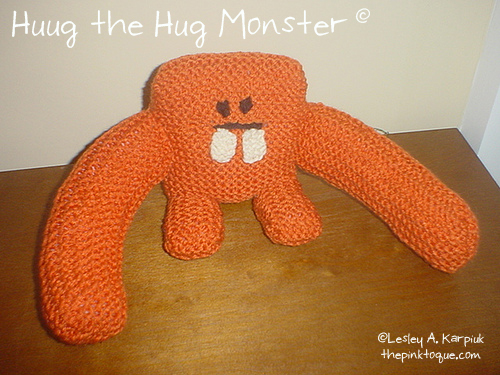 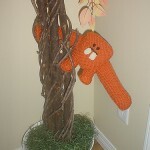 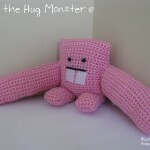 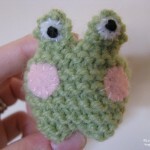 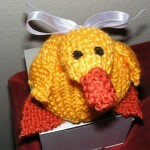 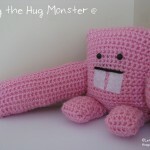 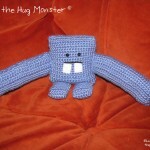 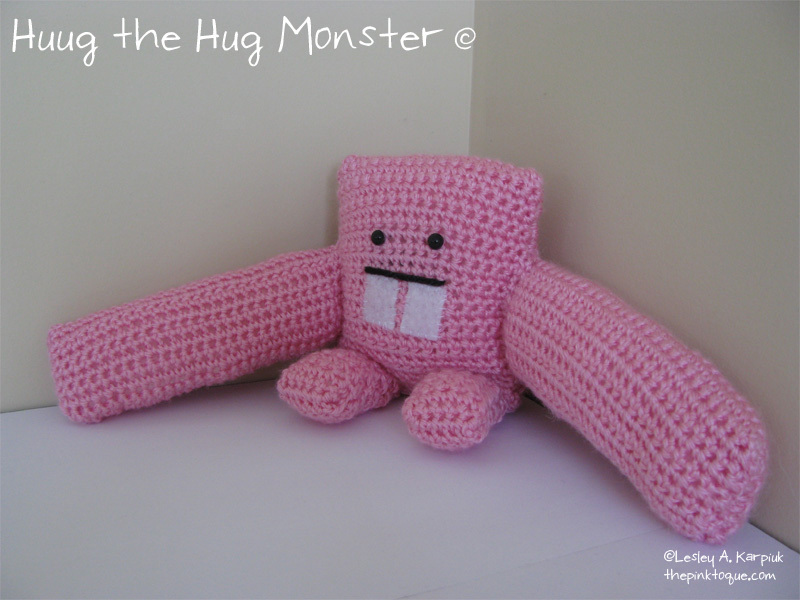 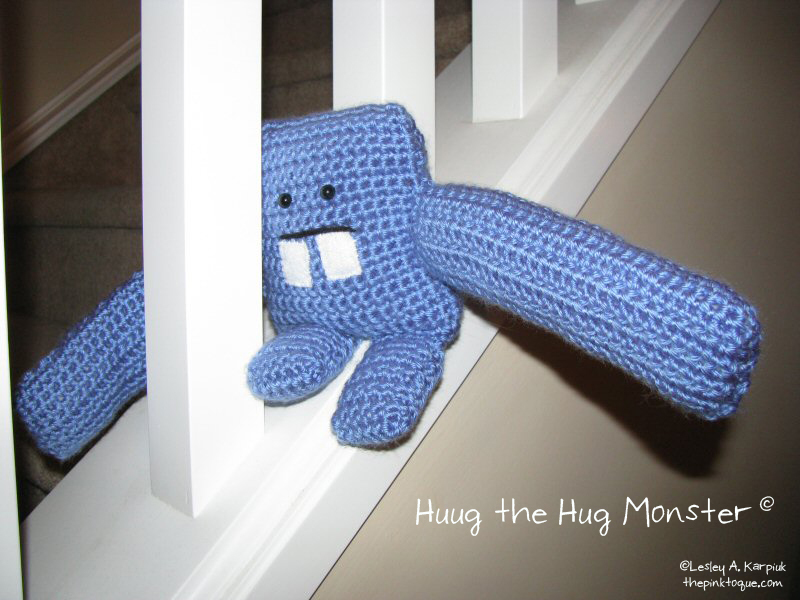 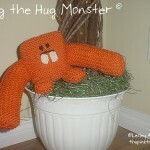 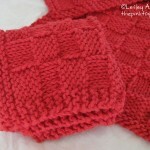 These can be knitted in your choice of color. 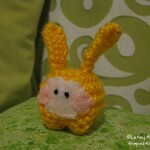 Personal pattern not available. 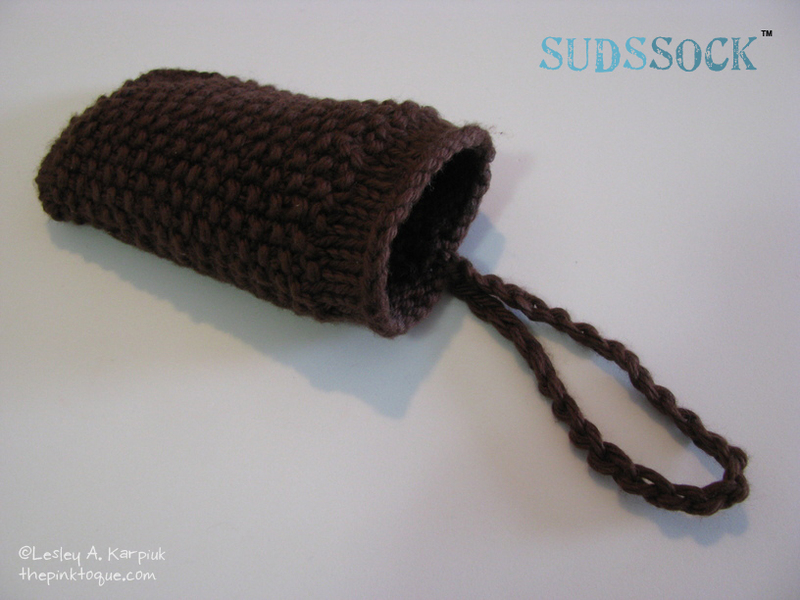 Purchase one of my Suds Socks on Etsy. 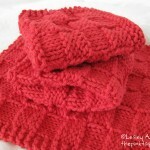 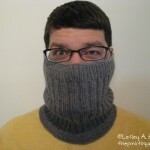 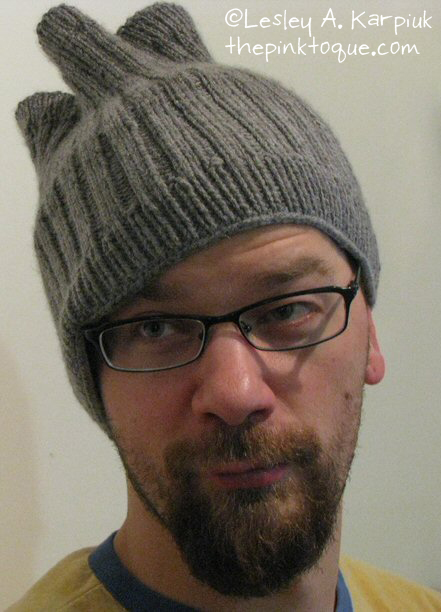 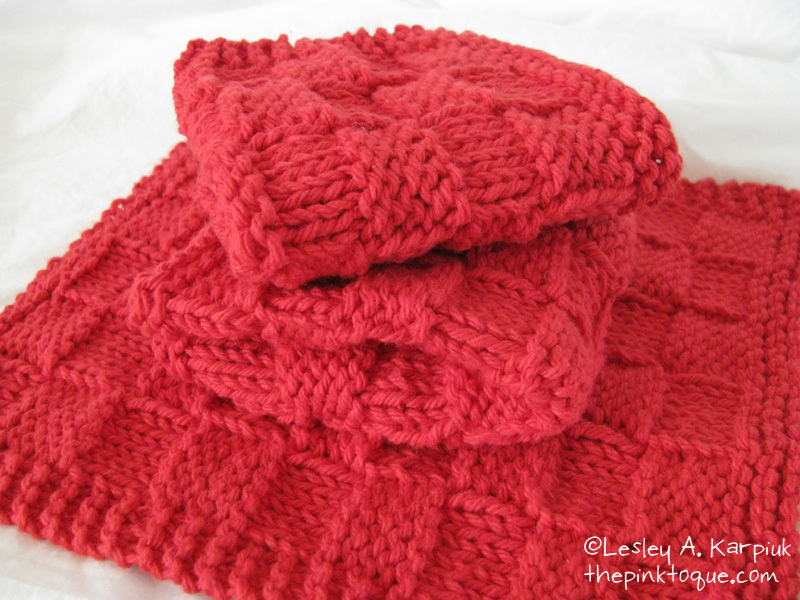 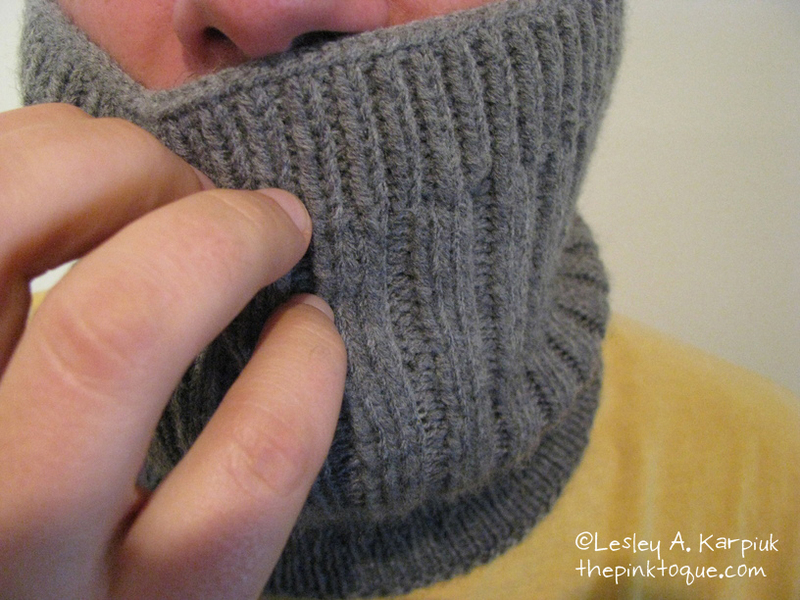 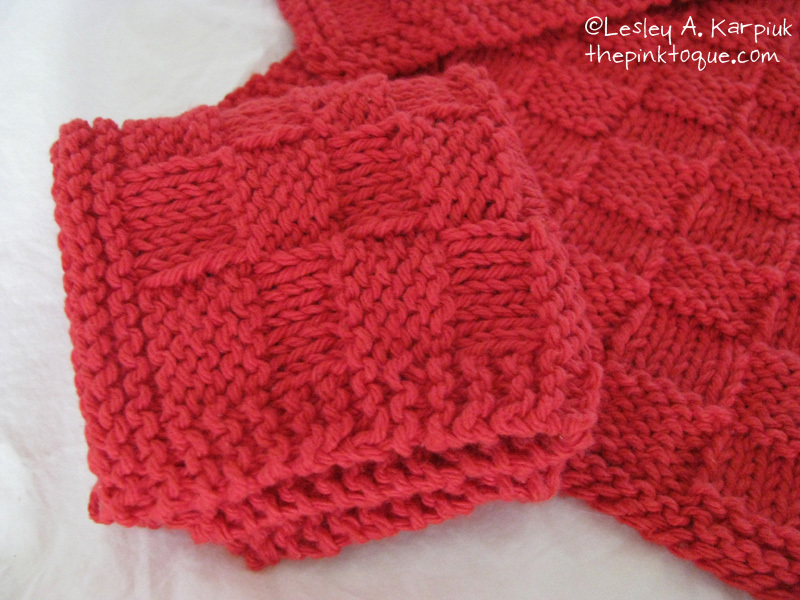 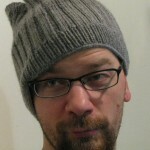 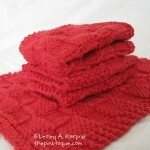 This is a knitted cowl pattern that I created in December 2009. 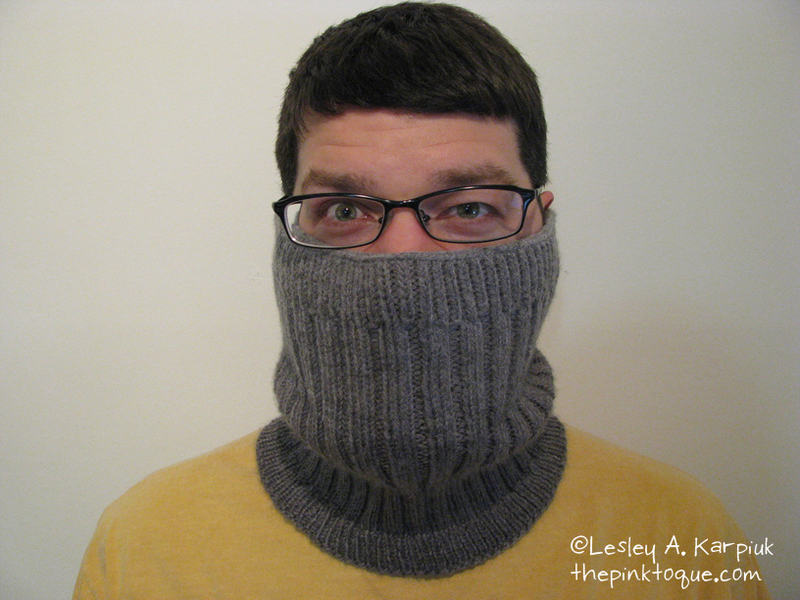 The cowl was created to match the Cousteau Hat that I knit for my husband at Christmas, so my cowl pattern was inspired by the Cousteau Hat pattern by Typy on Ravelry. 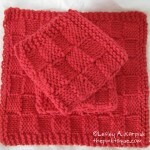 The pattern is available for free on Ravelry. 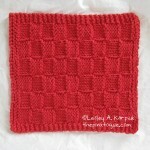 This is my unoriginal basket weave design for a knitted washcloth, created in June of 2009. 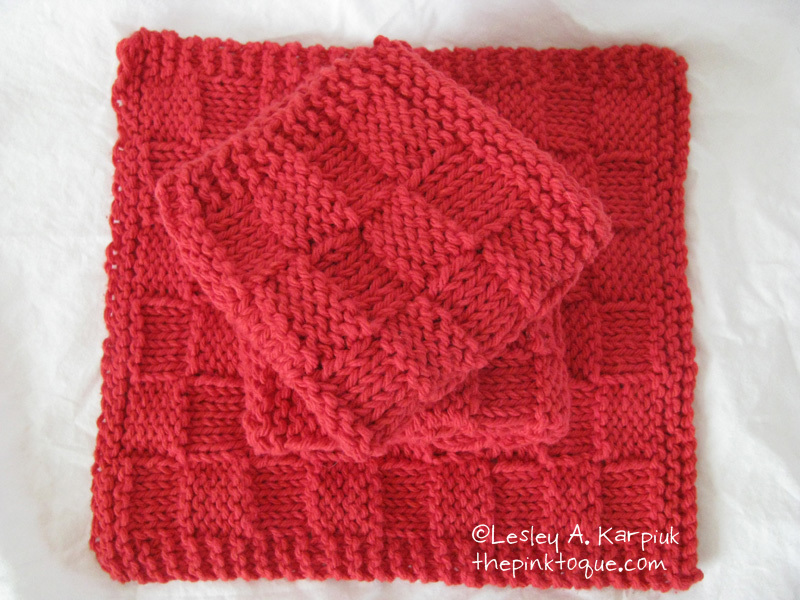 I was in search of a good dishcloth pattern for knitting a gift to my boss at my summer job, and I couldn’t find just the right pattern. 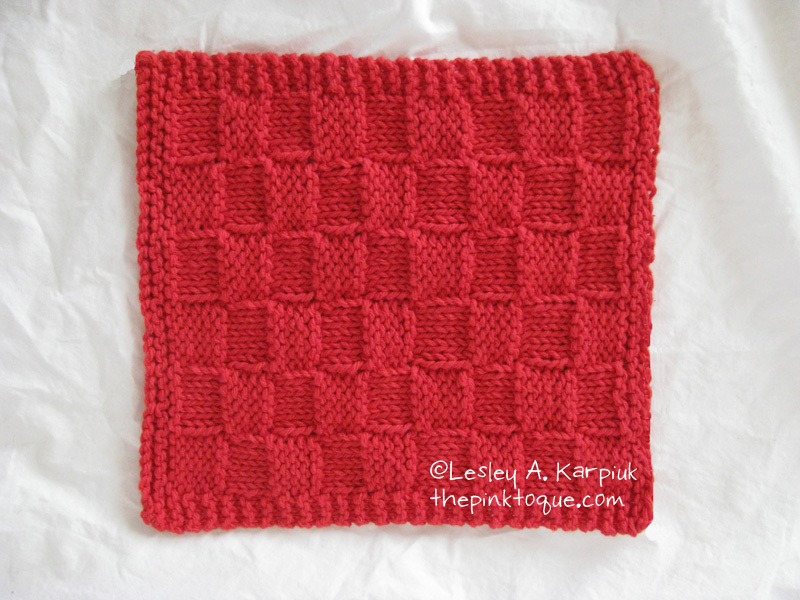 I liked the look of basket weave, so I came up with my own bordered edge pattern design featuring the basket weave in all of its glory. 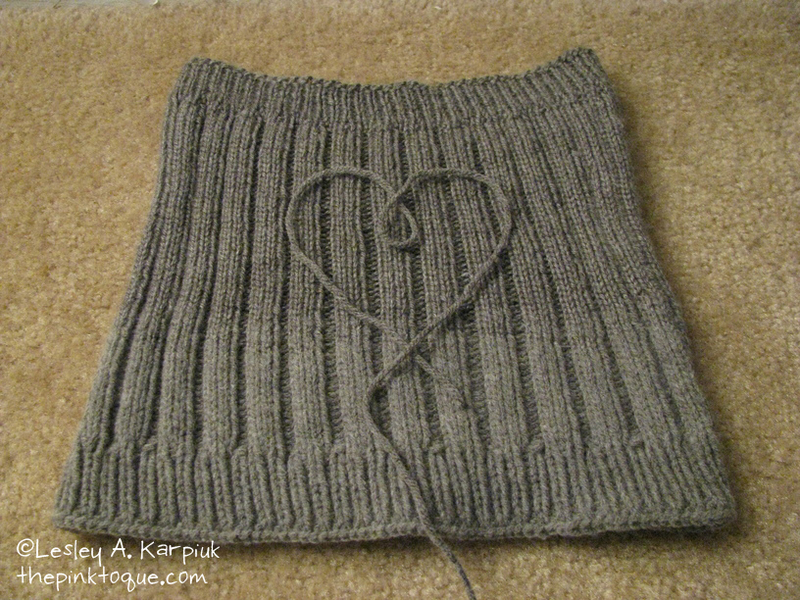 This pattern is available for free on Ravelry. 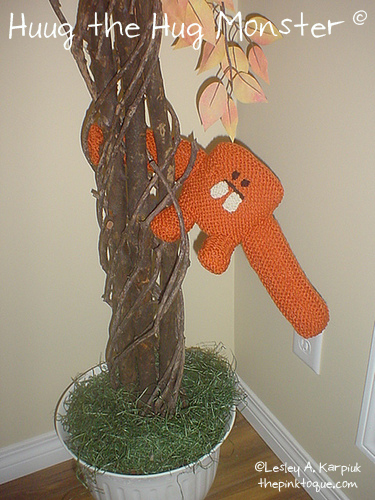 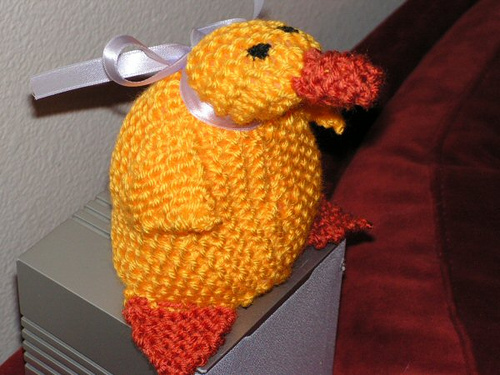 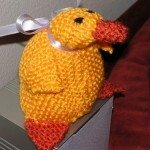 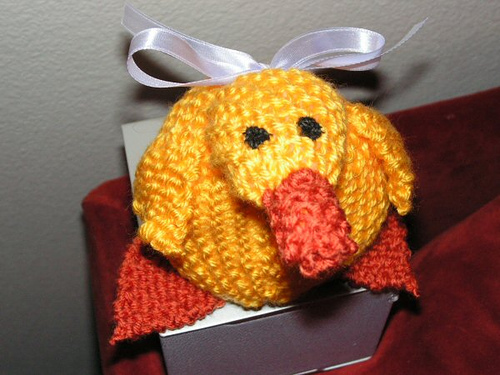 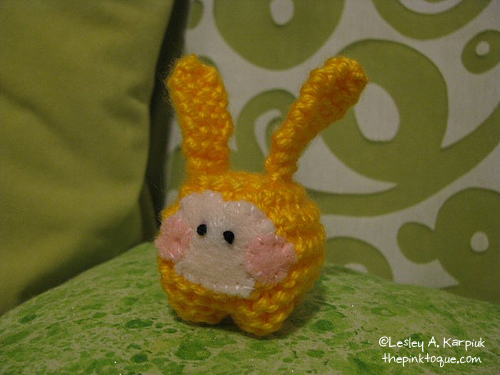 This is a design for a knitted duck plush that I created in December 2007, loosely based on a Lion Brand pattern whose body shape was achieved by folding a knitted square corner to corner to create a triangle. 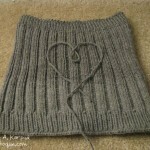 This pattern is available for free on Ravelry. 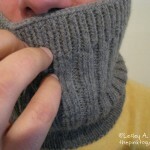 What in the world is a “gribbly” you ask? 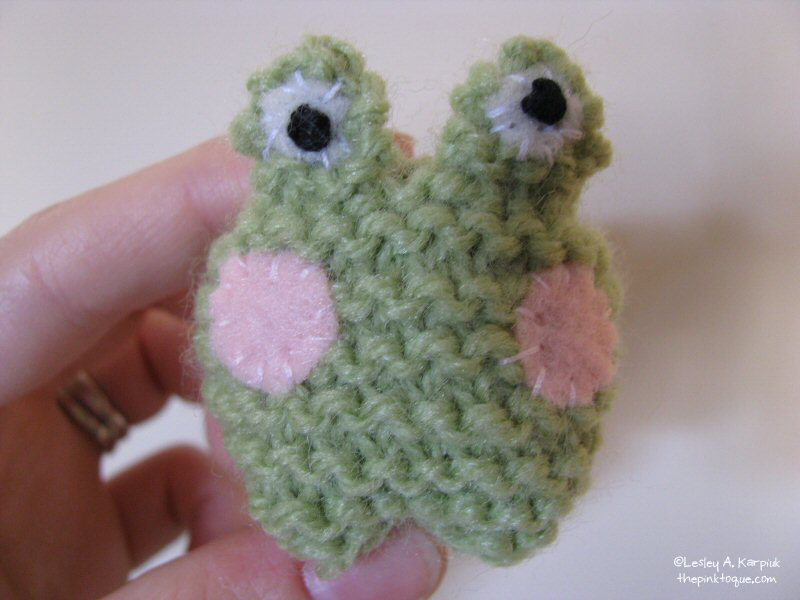 So these are just tiny little insignificant creatures hiding in nooks and crannies that will do little more than just irritate you if they cross your path. 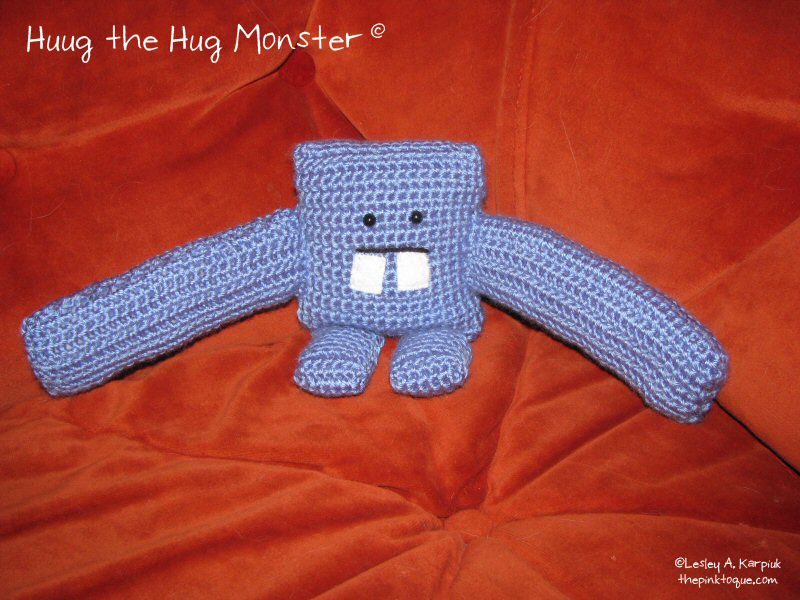 They like to pester and annoy whomever they come in contact with, and I like to believe that gribblies are to blame for all of those little irritating setbacks in your typical day. 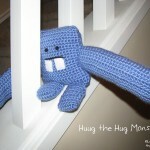 Having a bad day? 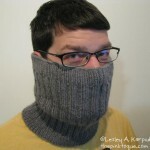 Blame it on the gribblies! 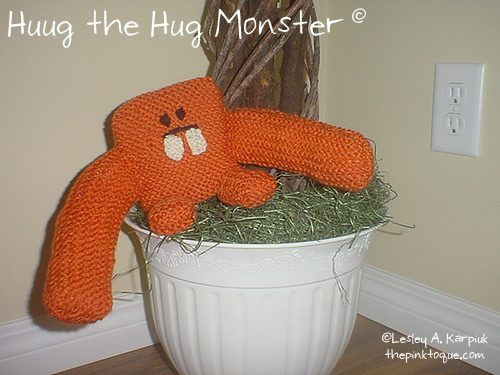 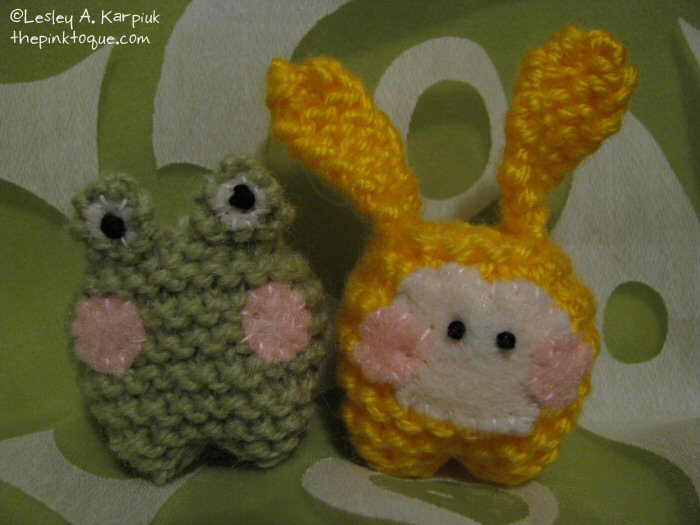 These are two creations I designed and knit in March 2008. 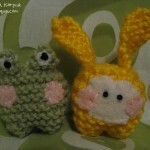 They stand about an inch and a half tall, with the bunny a little taller than the frog due to its long ears.